How do I configure a PC with UEFI BIOS to PXE Network boot? 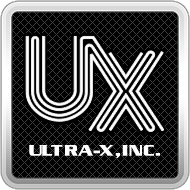 – Ultra-X, Inc.
How do I configure a PC with UEFI BIOS to PXE Network boot? 2. Enable the Network Stack Boot ROM or Network PXE. BIOS menu / options vary per vendor and model. Look for Boot Tab, Advanced Configuration or Onboard Devices and select ENABLE next to the LAN / Network OpRom or Network PXE or Network Boot. NOTE: Some BIOS require a save and exit before new options will appear. 4. Change the boot sequence. After enabling the Network Boot, be sure to change the boot sequence so that Network boot is the first priority. If you don't see any network boot options in the boot sequence menu after enabling the network boot option, you will have to first save and exit the BIOS then restart the PC and enter the BIOS again. The new network boot option should now be shown in the boot sequence menu. 5. Save and exit the BIOS. 6. The PC should now PXE Network boot to the QuickCAST Server. How do I configure a PC with Legacy BIOS to PXE Network boot? HOW TO: Install & configure QuickCAST Server? How do I prepare QuickCAST Server for Windows Installation? How do I configure QuickCAST Server to boot the Self Boot UEFI Diagnostic?